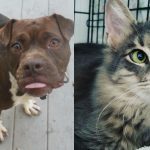 Blue Chip Farm Animal Refuge teams up with NEPA Scene every week for Shelter Sunday, a post that features dogs, cats, and occasionally some surprises up for adoption in the hopes of finding them a loving home. Blue Chip Farm (974 Lockville Rd., Dallas) is a no-kill shelter, a place where no animal is too old or too unwanted to find a warm bed, good food and, most of all, love. Their mission is to provide a sanctuary where older, stray, abandoned, sick, or abused animals can wait to be adopted or simply live out their lives in safety and peace. 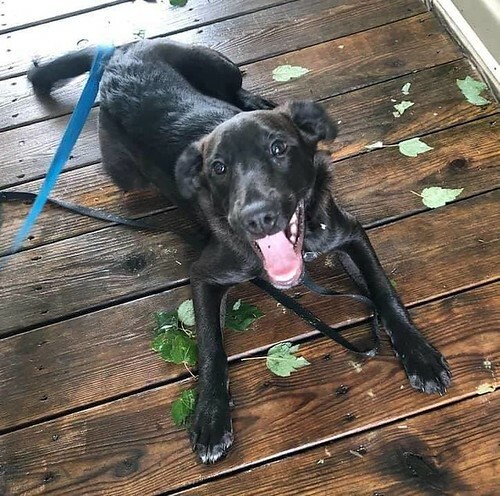 Spirit is a 6-month-old Labrador mix. He came from a high-kill shelter down south and is now looking for a new family in Pennsylvania. He is the sweetest boy you will ever meet. He is bashful and loves everyone. If you are interested in adopting Spirit, fill out an adoption form on bcfanimalrefuge.org and call 570-333-5265 to arrange a meet and greet. 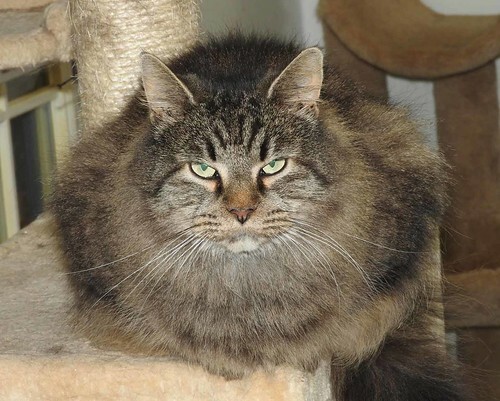 Lidsy is a sweet, domestic long hair socialite who loves to check out humans’ hats… hence the name Lidsy. She is spayed, up-to-date on her shots, and in good health. This adult cat is very easygoing and loves people. 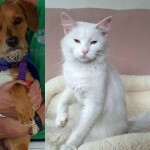 She gets along with other cats and is fine with older or calm dogs when properly introduced. As for humans, she is curious and friendly. She likes to play with any kind of cap, hat, or scarf you’re wearing and try it on. Wear a hat around her and see what happens! Lidsy also loves to be cuddled and to look out the window. She likes music and enjoys listening to how your day went. She wants to be pampered and would make a great addition to any home. 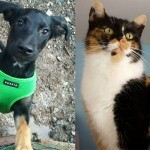 To adopt Lidsy, fill out an application at bcfanimalrefuge.org.